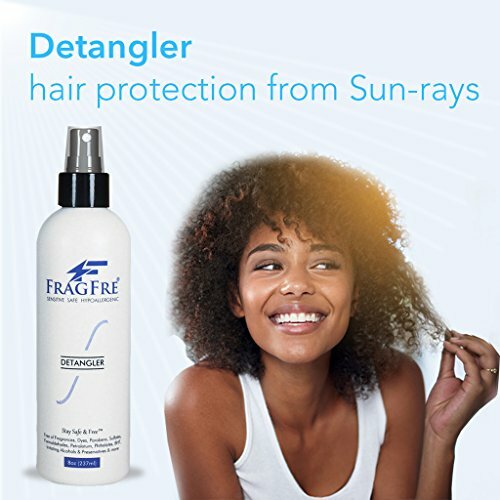 Absolutely safe for the most sensitive scalp and hair, our mild and effective FRAGFRE® Sensitive & Safe Hypoallergenic Detangler gets you smooth, manageable hair instantly. Style it as you please right after you nourish your tresses with FRAGFRE® Nourishing Conditioner and leave Detangler on to safeguard your hair from sun-rays. See how your tresses shine with health when you use our Detangler to keep styling stresses from showing on your hair. If you have any questions about this product by FRAGFRE, contact us by completing and submitting the form below. If you are looking for a specif part number, please include it with your message.